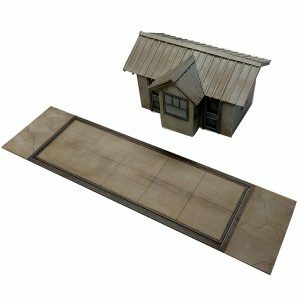 The Rock Island Freight House full structure kit has been designed to be very easy to assemble with interlocking laminated full panel walls, pre-cut frosted window glazing and self-adhesive windows that literally fall into place. 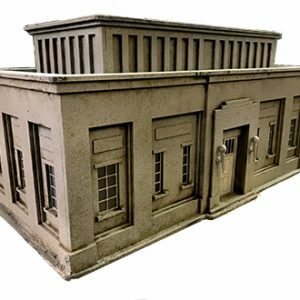 This impressive structure includes some fantastic architectural elements not commonly found on buildings of this size. 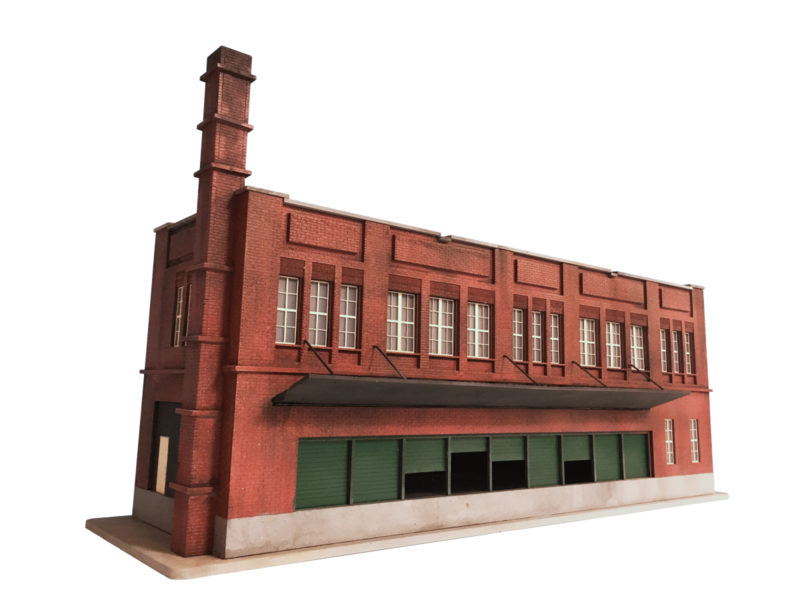 Modeled after the original Rock Island Freight House located in Little Rock, Arkansas which served the Choctaw Route for many years. 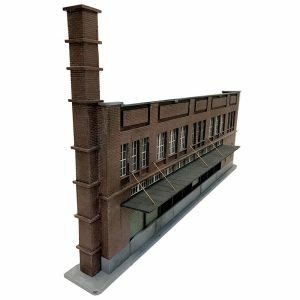 A little artistic license was employed to create a structure that will fit on most O gauge railroads, reducing the width to 29 scale feet (7.25”) versus the prototype’s original 100’ width. The length of the structure has been retained at the original 404’ length (25.25”). Featuring a simulated dock office, 9 freight doors on the track side and 9 freight doors on the truck/trailer side. The upstairs represent the offices responsible for routing the freight all over the country. 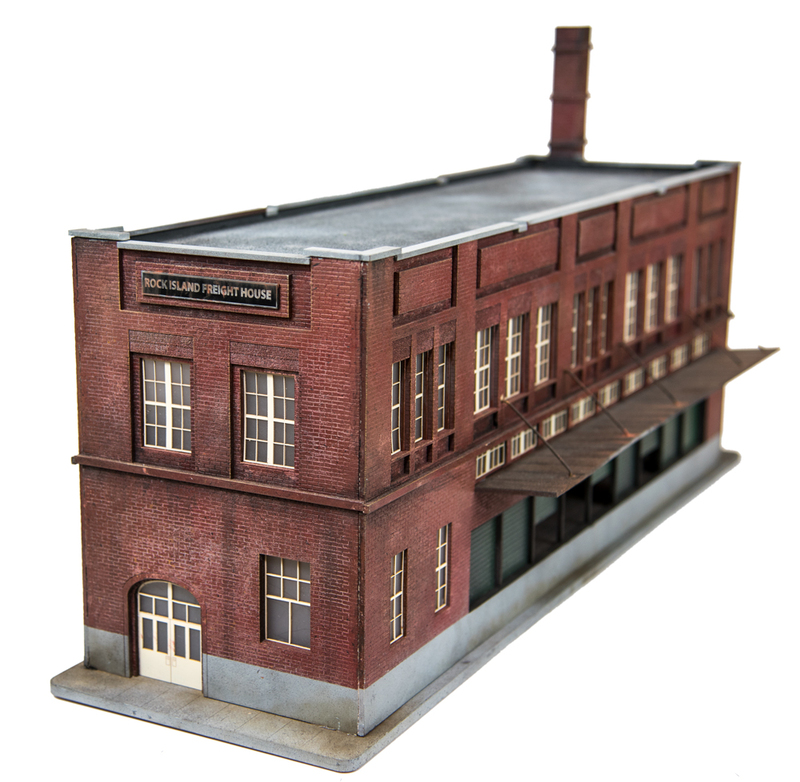 The Rock Island Freight House full structure kit has been designed to be very easy to assemble with interlocking laminated full panel walls, precut frosted window glazing and self-adhesive windows that literally fall into place. Each kit includes a bag of fine ballast to use as the roof covering to reproduce a gravel roof top. 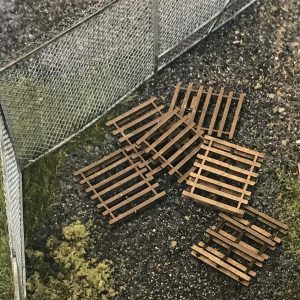 Also included with the kit is a freight dock floor with the option of recreating a concrete floor or a wooden floor (allowing you to super detail the interior dock area with freight and figures). 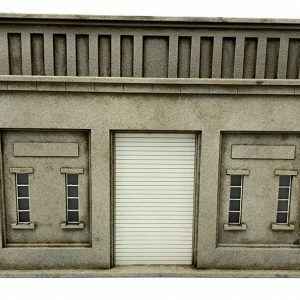 Dock bumpers and a staircase for the rear door are also included. Laser cut from 1/8” MDF and 1/32” Laserboard you will not find an easier to assemble laser cut kit on the market! [youtube https://www.youtube.com/watch?v=zd4YU-DCrVU] We have also created an easy to follow painting tutorial video to help you understand how we painted the model shown in our photos.